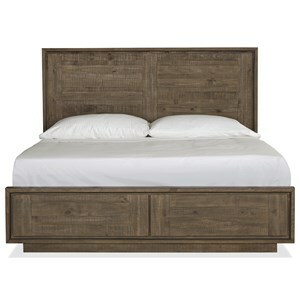 The Nevada King Low-Profile Solid Wood Bed by Modus International at Reeds Furniture in the Los Angeles, Thousand Oaks, Simi Valley, Agoura Hills, Woodland Hills, California area. Product availability may vary. Contact us for the most current availability on this product. 2H64P7R Rails 1 0" 0" 0"
2H64P7FB Footboard 1 0" 0" 0"
2H64P7BH Headboard 1 0" 0" 0"